One of Silicon Valley’s most revered entrepreneurs is going all in on Bitcoin. Square CEO Jack Dorsey, who is in London this week promoting the digital payments firm, told The Times that he believes Bitcoin could become the world’s leading currency within a decade — or perhaps even sooner. “The world ultimately will have a single currency, the internet will have a single currency. 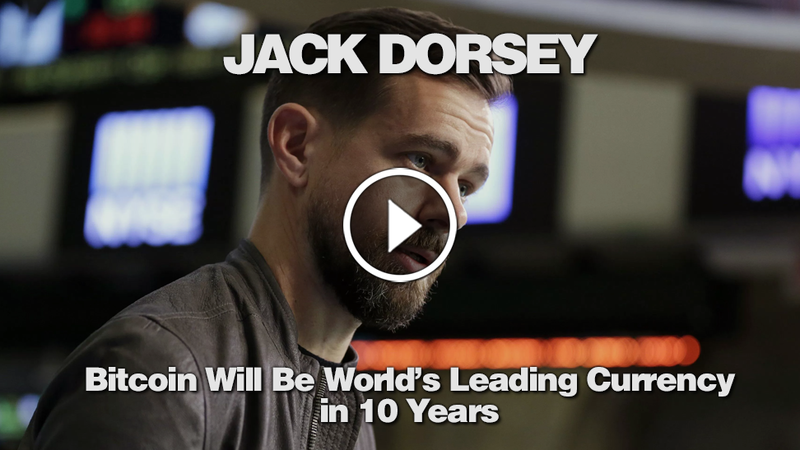 I personally believe that it will be bitcoin,” Dorsey said, adding that it would occur “probably over ten years, but it could go faster”. As CCN reported, Square has added support for simple Bitcoin trading into the firm’s popular Cash App, and Dorsey has said that the company intends to add more Bitcoin-related functionality in the future. This has led to speculation that Square may begin handling Bitcoin payments in its merchant payment processing software or perhaps even launch a full-fledged cryptocurrency exchange. Dorsey — who also leads social media giant Twitter — conceded that Bitcoin in its present state of development is not an “effective currency,” citing slow confirmation times and high transaction fees (although fees are currently at a relative low point). Nevertheless, he expressed optimism about technologies that will make Bitcoin payments more user-friendly and efficient in the near future. “It’s slow and it’s costly, but as more and more people have it, those things go away. There are newer technologies that build off of blockchain and make it more approachable,” he said, it “does not have the capabilities right now to become an effective currency”. One of those technologies, presumably, is the Lightning Network (LN), a second-layer scaling solution that allows users to open off-blockchain payment channels and execute near-instant transactions with virtually no fees. Dorsey, notably, recently invested in Lightning Labs one of the leading development teams focused on programming LN software. Earlier this month, Lightning Labs released lnd 0.4-beta, which is the first LN implementation to receive a beta release.